We end this all-weather favourites stats series with a look at Southwell and Newcastle. A wholly unique fibresand surface amongst fellow all-weather tracks. I have looked at Southwell racecourse in isolation before because of its unique aspects. 5-13-9-14 are the stalls with most profit for the favourites. Not necessarily any strong patterns bar the fact that stalls 13 and 14 are next to each other. Stalls 5 and 13 are the most profitable both to Betfair SP and Industry SP. I do like to see Industry SP profit. 64% and 103% returns on investment from stalls 13 and 14 might narrow the focus for favourites running from these stalls. Turning out to be a vital piece of the jigsaw as consistently we see that favourites perform best when running 30 days or so since their last race. Sprint distances are the best distances for favourites at Southwell. Less ‘kick-back’? 46 points profit to Betfair SP backing favourites over 5 furlongs, 19 points profit to Betfair SP over 6 furlongs. 8-14-4-12 furlongs are the distances where it’s best to lay favourites consistently. We see a return to middle distances ( where 8 furlongs is a mile). 8 furlongs, 1 mile 6 furlongs and 1 mile 4 furlong races dominate. We have seen this poor performance in middle distances previously. The last venue in this serious and one of the newer all-weather venues. Fewer races to analyse of course. Early doors, Stalls, 11, 3 and 14 are the most profitable for favourite backers. 54 points profit Betfair SP in totality for these 3 stalls. Stall 3 looks anomolous given the other 2 stalls are double figure stall numbers. Rather strangely, 12 runner races, produced a 32 points profit for favourite layers! Hmmm! A big enough sample? An anomolous run from a small sample? 6 of the top 7 performing days are within 27 days of last run. The anomoly is 45 days which comes from only 12 races. 5 and 7 furlong races produced a total 26 points profit for favourite backers. 6 furlongs is marginally profitable to Betfair SP . A feeling that the sample is small. I hope you have enjoyed this series on all-weather racing and can apply it. Check out today’s race card for instance. All-weather racing has increased markedly in frequency. The next major race meeting will be the Cheltenham Festival in March and I, and my writing colleagues, will be doing an in-depth statistical focus on the Festival. It will only be available via the What Really Wins Money newsletter . 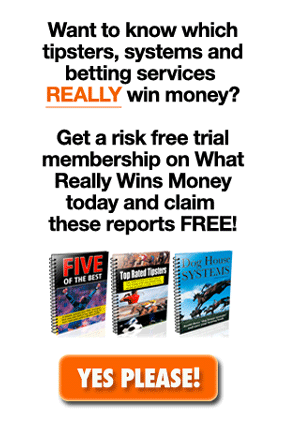 The post The last 2 all-weather courses appeared first on What Really Wins Money.